Experience your favourite content like never before with professionally tuned Harman Kardon speakers, a crystal-clear 2K widescreen display and long battery life. The high-resolution 2K widescreen display is available in 10.8" and 8.4" sizes. Both sizes come with our ClariVu technology as standard, helping you take in every detail. Speakers that have been professionally tuned by Harman Kardon deliver exquisite and powerful stereo sound. Easily do multiple things on one screen – search the web whilst watching a video or check your emails and take notes at the same time, thanks to our Kirin 960 chip and EMUI 8.0/Android Oreo operating system. Experience extraordinary vision on our beautiful 2K resolution screen with curved glass edges which blends seamlessly into a smooth metal body. Designed to be held with comfort. Maximises colour definition for the best viewing experience. View up to 1.5 hours of your favourite content after a single 30-minute charge. Speakers tuned by Harman Kardon, for precisely balanced and powerful sound. 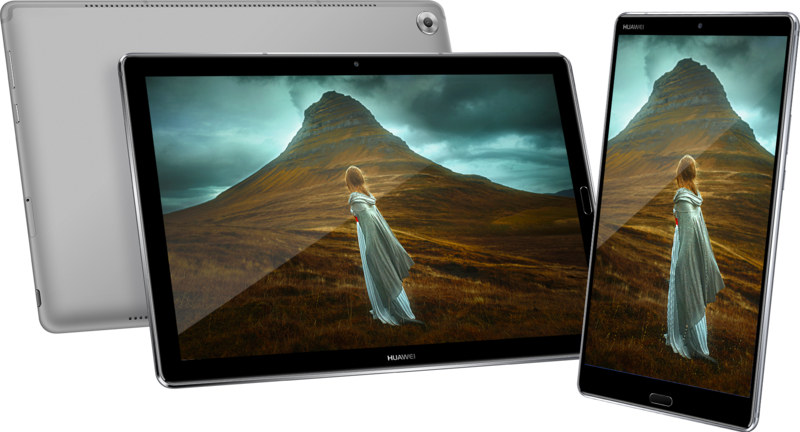 Enjoy 280 pixels per inch on the HUAWEI MediaPad M5 (10.8") and 359 pixels per inch on the HUAWEI MediaPad M5 (8.4"). Immerse yourself in our HUAWEI MediaPad M5 (10.8") with its crystal-clear display and four professionally tuned Harman Kardon speakers. Our compact 8.4" HUAWEI MediaPad M5 is as powerful as the larger sized HUAWEI MediaPad M5 10.8" model and with two professionally tuned Harman Kardon speakers, allows you to have a cinematic experience wherever you are.